Book a skilled lawn pro in Augusta. Backed by a total satisfaction guarantee and amazing customer support. The PGA Masters Tournament is usually the first thing that a lot of people tend to associate with the city of Augusta, GA. However, this place is your home and you are more than aware that there is a whole lot to this beautiful city than just golf. There's also nature (Phinizy Swamp Nature Park), culture (Augusta Museum of History), and history (President Woodrow Wilson's boyhood home). It is a fine city, but you won't get to enjoy it at all if your yard is starting to get infested with weeds. You can step aside and enjoy your time off because the best weed control service in this side of Georgia is here. Lawn Love is a company that knows just what needs to be done to get even the most aggressive of weeds out of your garden. We know how frustrating it can be to constantly pull out weeds only to have them grow back. Our weed control service will make sure that this won't be the case. Our guys have the equipment, experience, and the knowledge to get rid of the weeds from your garden for good. Get a quick two minute quote from our website or call us at 706-250-4429 to get more information. Yard looks great! We enjoy the service and have recommended to friends and family. Rated 4.81 / 5 stars in 160 Augusta customer reviews. It looks like the expected precipitation in Augusta is 0.05 inches, which means you will probably have to water your lawn today. Dusk and dawn are the best times to water your lawn (the sun will rise at 6:47 AM and set at 8:05 PM today in Augusta). 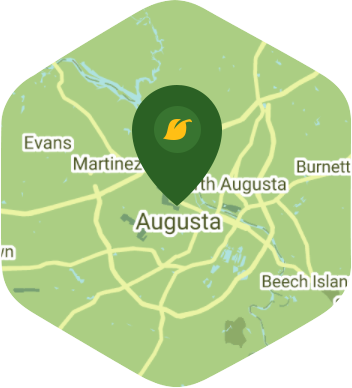 Here are some average prices for homes in Augusta. Average size of area treated 7,653 sq. ft.